The incident took place late Friday night in the forest of Dhandabra village under Bhoramdeo police station limits. RAIPUR: A woman Naxal was gunned down in an encounter with security forces in Chhattisgarh's Kabirdham district, over 120 kilometres from here, a senior police official said Saturday. The incident took place late Friday night in the forest of Dhandabra village under Bhoramdeo police station limits, Kabirdham Superintendent of Police Lal Umed Singh told PTI. He said that a joint team of the Special Task Force (STF) and District Force had launched an operation in the Bhoramdeo Wildlife Sanctuary area which lies on the border of Chhattisgarh and Madhya Pradesh. The security forces came under fire while advancing through the forests near Dhandabra following which a gun battle ensued, the SP said. After the ultras fled the spot, the body of the woman Naxal was found along with two .315 bore guns and live bullets, he said. He said that preliminary investigations have revealed that the slain Naxal was Pramila, a member of the "vistaar platoon no.2". 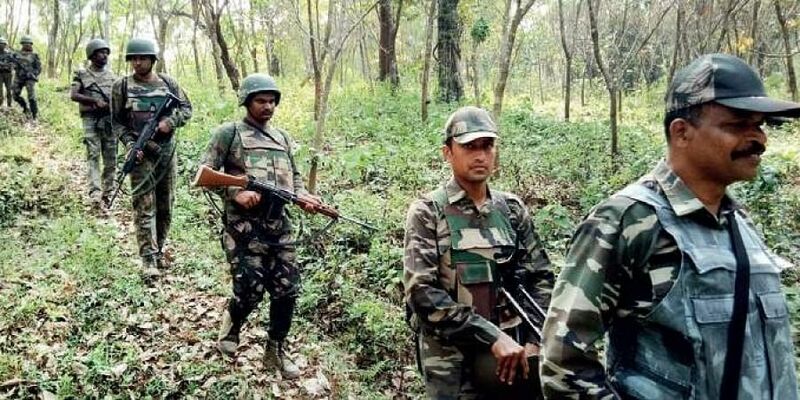 These platoons are tasked with setting up a new Naxal base in the tri-junction forest of Maharashtra, Madhya Pradesh and Chhattisgarh consisting of areas in Balaghat, Gondia, Rajnandgaon, Mungeli and Kabirdham districts, officials said. The security forces of the three states have been working jointly to stamp out the Maoist menace from this area, officials added.